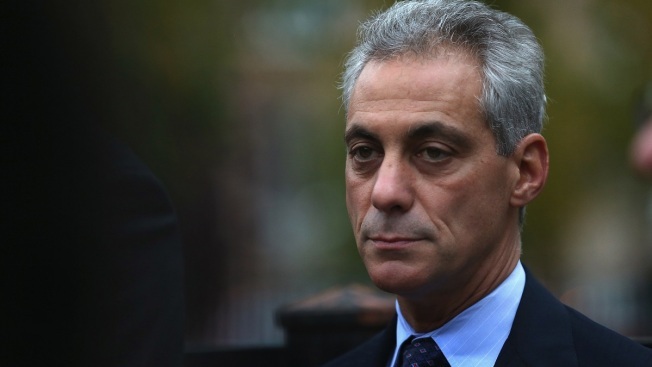 The Illinois Supreme Court on Thursday shot down Mayor Rahm Emanuel’s plan to cut pension benefits for some city workers. The decision marks a big victory for municipal employees and laborers but it could cost taxpayers, by one estimate, hundreds of millions of dollars in new taxes. The 5-0 decision, with two justices abstaining, means nearly 80,000 active and retired city workers will not see changes to their pensions. Legislation pushed by the mayor and approved in Springfield raised employee pension contributions in exchange for shoring up their pension funds. But the court said no, that “diminished pension benefits” altering “an enforceable contractual relationship” was unconstitutional. The pension funds are in trouble, in part, because elected officials for decades have borrowed from these funds to pay for other services. “I think they have used the retirement systems in effect as a credit card for decades,” said Anders Lindall a spokesman for the American Federation of State, County and Municipal Employees (AFSCME). The mayor won re-election in 2015, arguing his pension plan was constitutional and would save money. But the city kept drowning in red ink, necessitating a record $588 million property tax hike approved by the Chicago City Council in October. An additional $170 million property increase to fund teacher pensions is on the horizon. Chicago Sun-Times City Hall reporter Fran Spielman believes more taxes will follow, but said another property tax hike is highly unlikely. The court in its ruling noted it is undisputed that without major reforms the two pension funds in a decade will be broke.